I didn’t know what to make for dinner tonight. Friday, end of the week, the fridge was looking pretty bare. So, I decided on Onigiri (just for a change). I was all ready to make plain rice & bonito or tuna onigiri, but an awesome new book I own (Simply Onigiri) put an end to that. 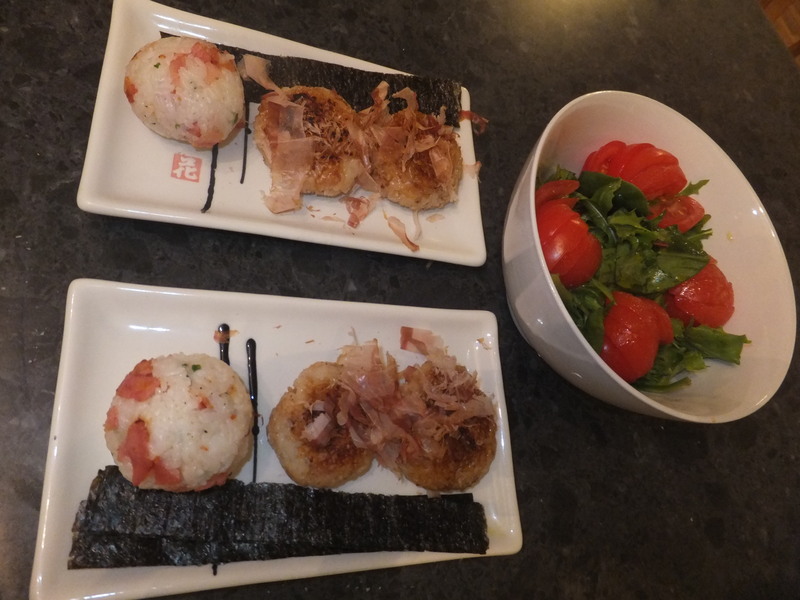 So…here we have bacon & garlic onigri and toasted cheese & bontio onigiri. Both very tasty.